For those of you who were really wanting one of the Really Blue Pixel phones, there is good news for you this morning. Google has confirmed to Android Police that the limited color variant of both the Pixel and the Pixel XL will be restocked at some point in the future. The question is when and how many will actually be available. 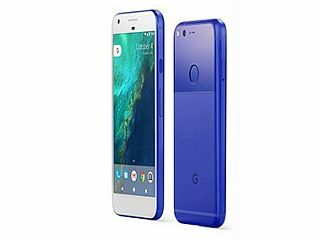 That part of the equation is not known but if you are really wanting to get your hands on a Really Blue Pixel, it is suggested that you use the Google Store’s waitlist function to get in line. Functionally, as readers likely know, there is no difference in performance between the various color variants. The Really Blue color however was immediately sought after as it was unique in this world of mostly black, silver (aluminum) and gold phones on the market. If you want to join the waitlist for the phone, go to the Google Store and sign up to be notified on when it is back in stock. Obviously there is no guarantee they will be there if you delay once you are notified. These will go very, very fast (translation: within minutes if not sooner). If you want one, be prepared to pay the day they hit the store. With orders now starting to arrive to those who ordered the new Google Pixel or Pixel XL, Google has posted both the factory images and the OTA updates for both phones on the Android Developer website. This follows the trend that the company has had the last two device rounds (Nexus 5X/6P and Marshmallow & Nexus 6/Lollipop). This means that, like the Nexus lineup before it, the Pixel lineup will have images that those who want to manually update their devices can use as soon as the images are released instead of waiting for the standard over-the-air updates. The first maintenance update to Android Nougat will be hitting devices by the end of this year. The update, Nougat 7.1, is scheduled to be released as a technical preview later this month with a final release coming in December according to a post on the Android Developer site. Google announced earlier this year that they would be moving into a more consistent maintenance cycle with Android which will over new features, security and other fixes with each release. With the new Pixel line up running Nougat 7.1 out-of-the-box, it was just a matter of when other devices would start seeing the update. Now we have a rough timeline from the company.